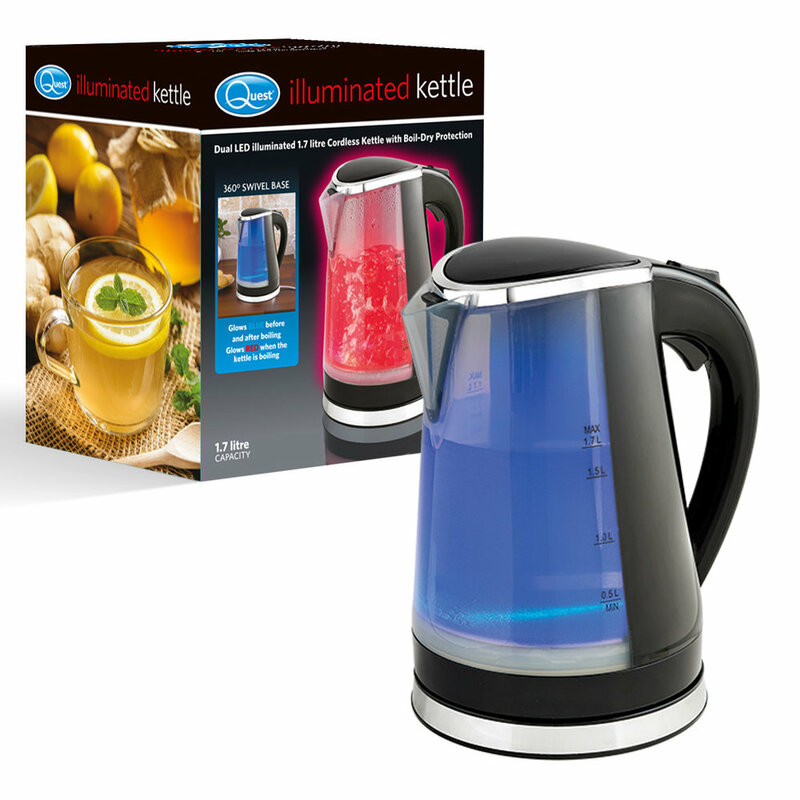 Stylish and easy to use, the Quest 1.7L Dual LED Illuminated Kettle with water level indicators and a trigger flip lid this is a perfect edition to any kitchen. 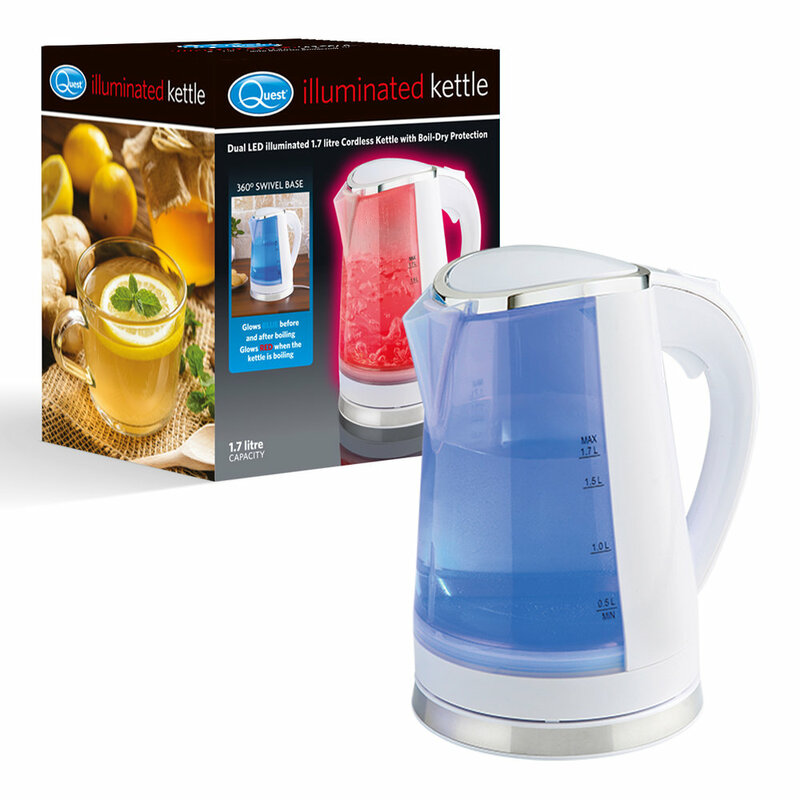 This powerful 2200W Dual LED Illuminated 1.7L Kettle with water level indicator and trigger flip lid is a perfects addition to any kitchen. Glows Blue before and after boiling. 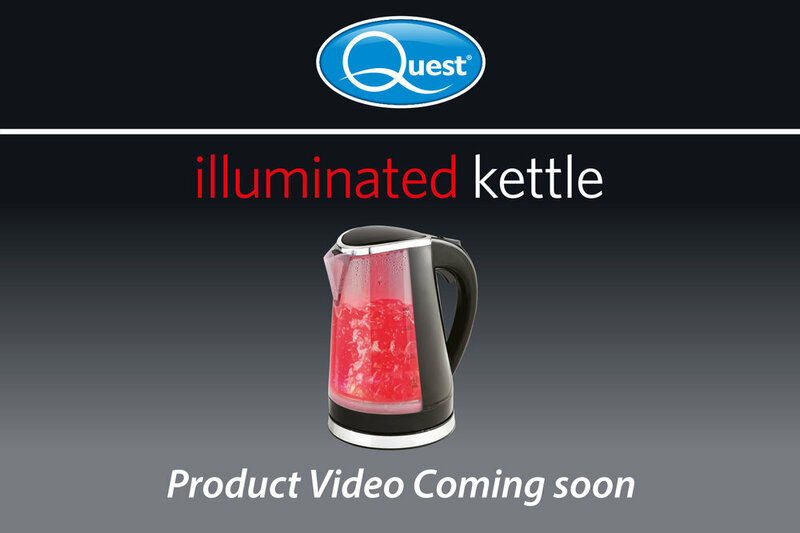 Glows Red when the kettle is boiling. 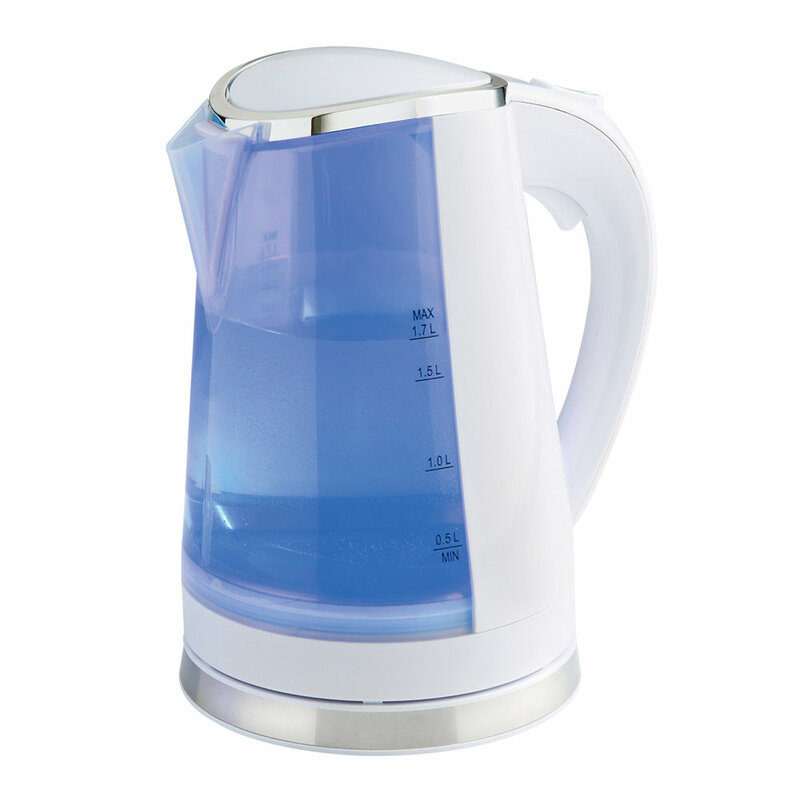 A stunning addition to any kitchen, the high quality and sleek design will allow you to finally enjoy the tea making ritual. Ideal for any home or office etc. 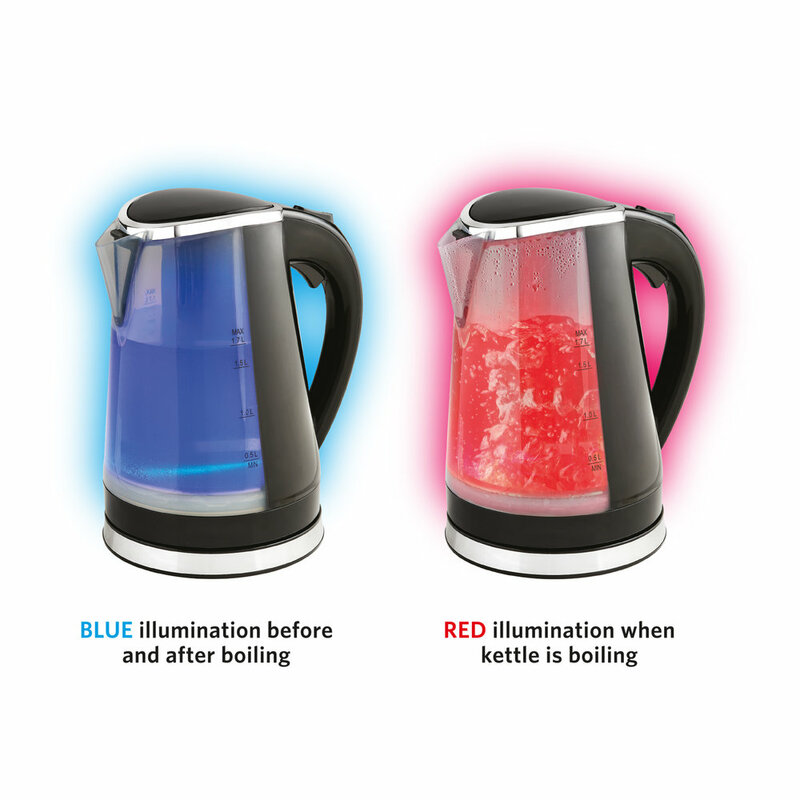 The kettle has a dual LED light indicator that shines red or blue depending on whether the kettle is boiling or not (Blue = Off; Red = Boiling). The cordless base can also hide any unnecessary cable, so it always looks tidy and smart.